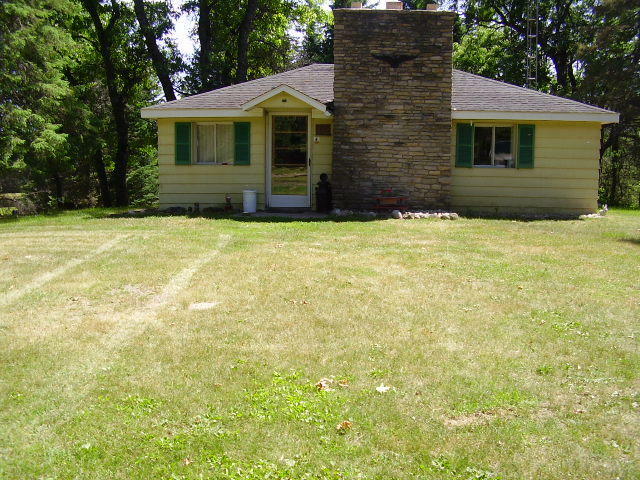 COMINS AREA - Located in NE Oscoda county you will find this 2 bedroom 3 bath home on 200 spectacular acres. Something for everyone. Home features an open floor plan with stone fireplace, dining room and kitchen areas. Master suite with master bath. Den or office. Spare bedroom for guests. Need additional space? There is a large walkout finished basement with bath and laundry. Heat with wood or electric. Outbuildings include a 42x20 garage with heated man cave, a 30x48 pole barn with oil change pit, a couple of storage buildings, wood and feed storage buildings. Just down from the house are two large ponds, one 17' deep. Ponds are surrounded by landscaping, fenced garden area with irrigation from the ponds. Would make a great hunting camp or recreational property.